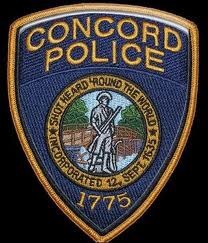 CONCORD — With the holiday season in full swing, Chief Joseph O’Connor and the Concord Police Department advise residents to be cautious of scams and skimmers, as thieves will be extremely prevalent during this time of year. Popular scams involve the use of fraudulent checks. In one instance, strangers stop you at the bank and ask if you’d be willing to cash their check and explain they were unable to because they don’t have an account with the institution. In return, the scammer offers to give you some cash upfront as a thank you. NEVER agree to cash a check from a stranger. Scammers’ checks, personal or cashier’s, are made to look and feel real, and may even deceive bank tellers. Fraudulent checks will be deposited quickly, but it doesn’t mean you’re in the clear. Under federal law (Expedited Funds Availability Act), banks have to make the funds you deposit available quickly. Although the money is available for you to withdraw, the bank may discover a forgery a few weeks down the road and the check may bounce. Your deposits are your responsibility. If you have deposited a check that then bounces, the bank will withdraw the original dollar amount credited to your account. If your account doesn’t have enough money to cover the deduction, the bank may sue you to recover the funds. Additionally, be cognizant when using ATMs and other public payment processing machines, especially at gas stations, airports and convenience stores, as you could unknowingly become a victim of card skimming. The U.S. Department of the Treasury reports that thieves may attach devices, designed to look like a normal card reader, to money machines that read and store your debit and credit card information once you swipe them. Hidden cameras often accompany these fake machines to record your personal identification number (PIN), giving thieves everything they need to drain your account or to make unauthorized purchases. • Walk away from an ATM if you notice someone watching you or if you sense something wrong with the machine. Immediately report your suspicions to the company operating the machine or police. • Before using an ATM, examine nearby objects that might conceal a camera and check the card slot for a plastic sheath before inserting your card, as thieves use this to read the magnetic strip. • When entering your PIN, stand close to the machine and hold your hand over the keypad or screen to make it more difficult for a person or camera to watch you. • Regularly review your account statements and check for unauthorized withdrawals and purchases. If you find one, immediately contact your bank or credit card provider, as this will limit your financial liability for fraudulent charges.